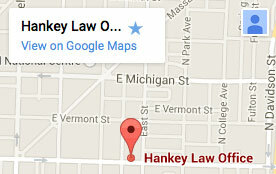 Hankey Law Office > Blog > Long term disability insurance > Are LTD insurance benefits affected by SSDI? Are LTD insurance benefits affected by SSDI? Workers in Indiana who can no longer continue doing their job after developing a serious health condition should understand that they can likely qualify for Social Security disability insurance (SSDI) even if they have long-term disability insurance (LTD) through a private company or employer. So, yes!, workers can receive both Social Security disability payments in addition to private long-term disability payments. However, disabled workers who have been approved for their SSDI benefits should be aware that their LTD provider may slightly reduce their long term disability payments to compensate. In some cases, insurers may adjust the payout even if you do not apply for SSDI benefits. Taking advantage of both SSDI and LTD benefits in times of disability is crucial for workers to improve their health and cover their living expenses during this frustrating period of their lives. Sadly, applying for your long-term disability benefits may be extremely difficult, especially if you are dealing with a negligent insurance provider. However, if you have decided to apply or appeal for your benefits in Indiana, the lawyers of the Hankey Law Office may be able to help you. Find out how we may work to successfully secure your deserved benefits today by calling 800-520-3633.